So, Gaddafi is winning, by using the desert (he has probably been reading up on his Rommel), and Assad, defiant, is protecting his southern approaches with machine-gun nests and No Entry signs. So, what if Israel attacks through the Golan Heights and France deploys the Foreign Legion to protect Cyrenaica? How will arch-enemies the House of Saud and Iran’s Council of Guardians react? 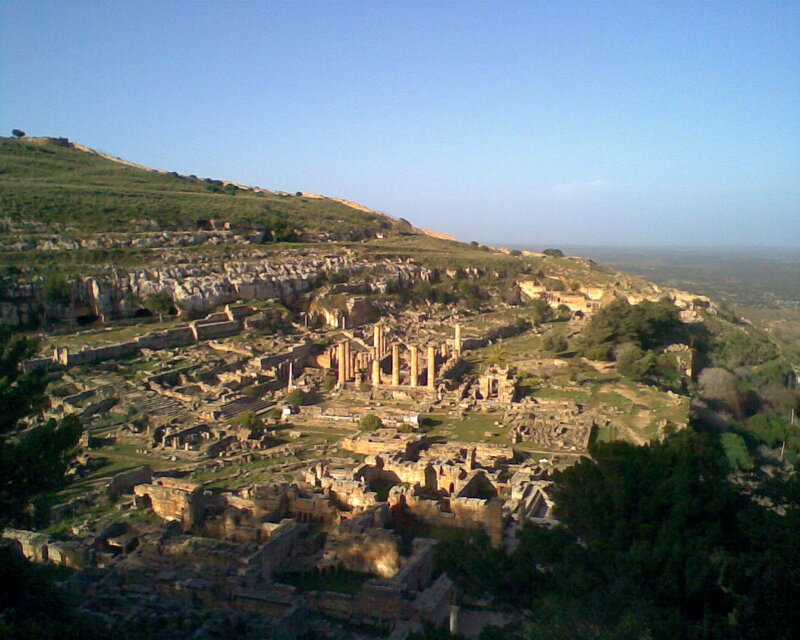 Picture is of ancient Cyrene (also a beautiful name for a girl).